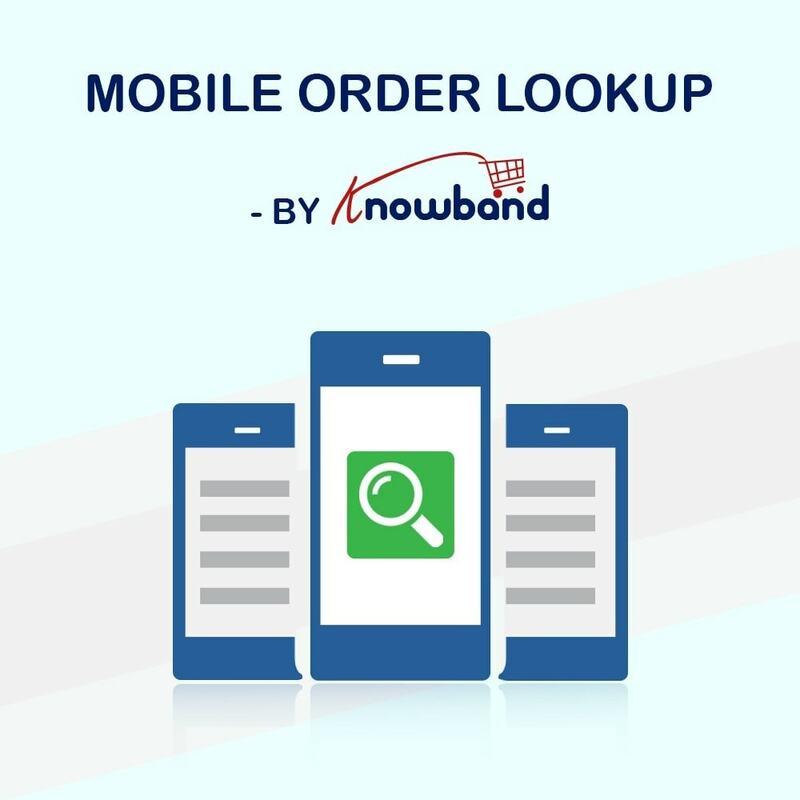 The Prestashop Mobile Order Lookup by Knowband adds a query form to the storefront using which customers can track their Order & Order Details by simply providing their email address and order reference without being logged in. 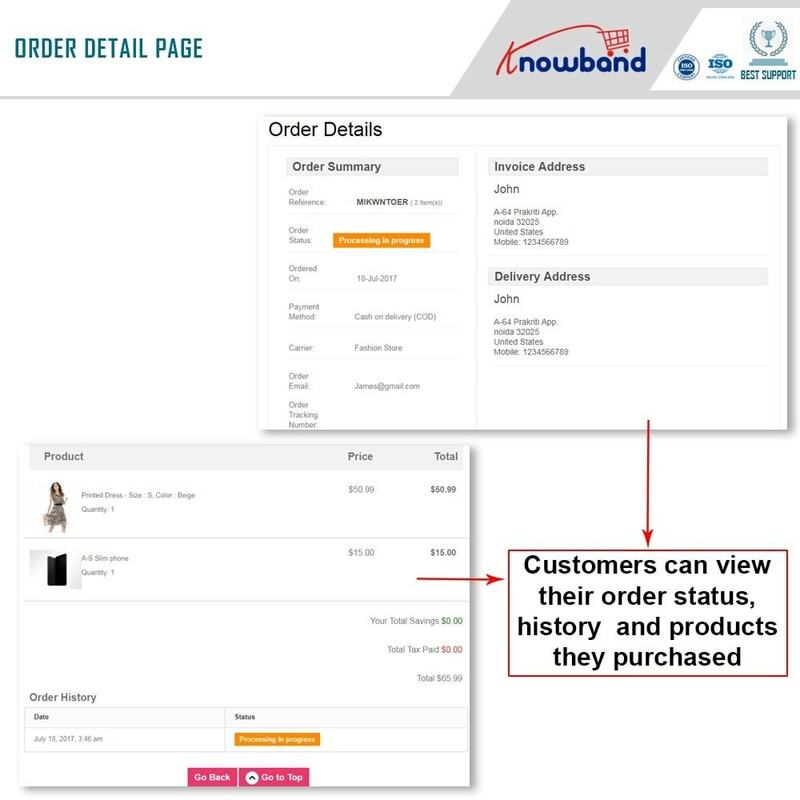 This Prestashop order details module by Knowband integrates a quick link to the query form on the header menu. 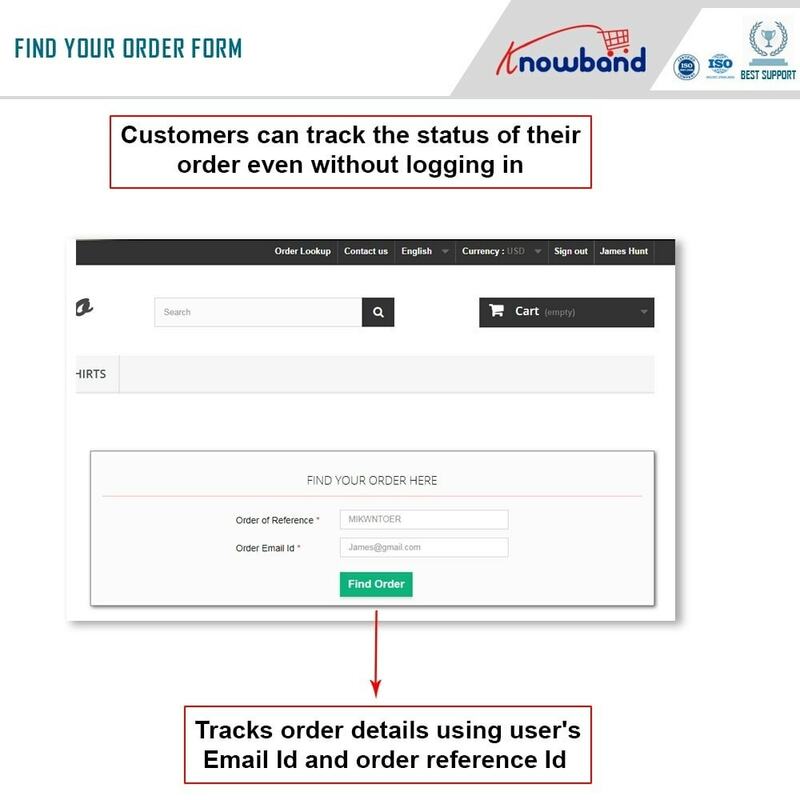 Customers can use this form to track their order status or other order details without logging into their user account. With this easy order tracking usability, this Prestashop module is an add-on to your UX optimization and customer service improvement. It can help you to make so many happy customers who would appreciate your intuitive and real-time order tracking interface. - The Prestashop extension reduces the regular order-related customer queries by 30- 35%. - It reduces the burden on manual support system through real-time replies. - Prestashop order status provides better customer satisfaction through instant order information related customer queries by 30- 35%. - Reduces the burden on manual support system through real-time replies. - Provides better customer satisfaction through instant order information 24x7. Real-time order tracking and reply to the customers is available in Prestashop mobile order lookup addon. Customers need not be logged-in to track their order. Customer's email address and order reference number are enough to track the order. Customers get an automatic instant reply to their order lookup request with this Prestashop addon. The Prestashop store admin can customize the text and labels of the order lookup form. The admin can customize the look, feel and text of the form CTA button in the back-end of this Prestashop extension. 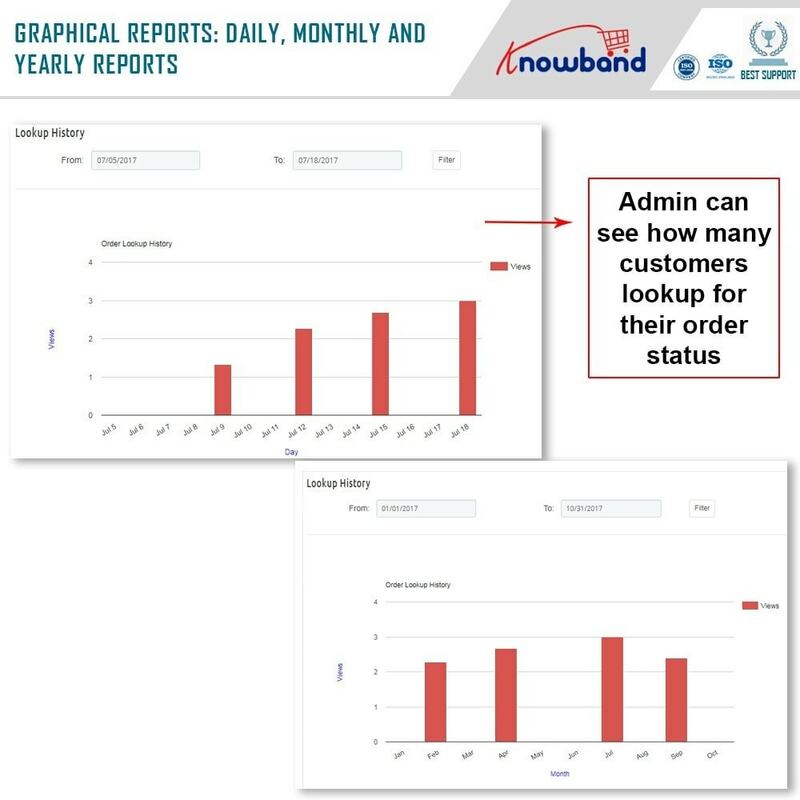 The admin can view the stats and graphical report of the order lookup activity on the store. The Prestashop order details module is translation ready. The multi-lingual customization lets the module be translated to any PrestaShop supported language right from the admin panel. It has an easy-to-use Admin Panel interface. Prestashop order details can be used with any PrestaShop Theme. 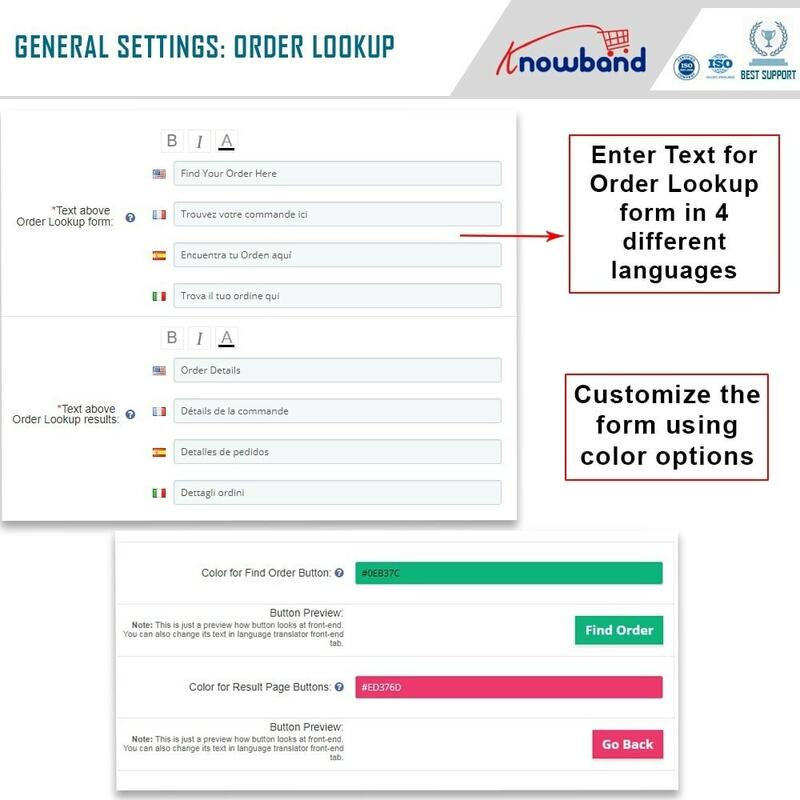 The look and feel of the module by Knowband can be customized easily to match your website theme. Prestashop mobile order lookup comes with a detailed Help Manual. They will love the responsive order look-up form. The option of Order tracking without logging into the store will definitely add to your UX optimization. Your guest customers will definitely like the Order status tracking without logging into the store. It will save the time of customers in many ways. First through ‘no need to log in’. Second through instant and real time reply of order look up queries.